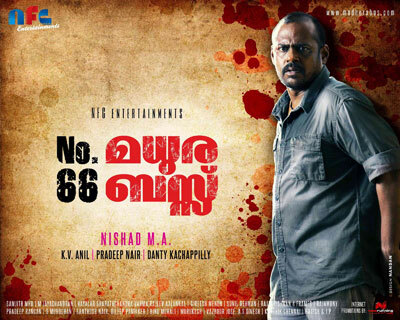 Trivandrum, June 1, 2012: The audio of upcoming Malayalam movie 'Number 66 Madhura Bus' was released in Trivandrum Central Jail yesterday. The movie starring Pashupathi, Swetha Menon, Padmapriya and Mallika in the lead roles is directed by MA Nishad. The songs are composed by M Jayachandran and lyrics are penned by Vayalar Sarathchandra Varma and Rajiv Alungal.